Brahmin – a fashion brand that creates handbags, jewelry, and other accessories with a dedication to craftsmanship and design – had a problem. Their online store was becoming outdated, and didn’t match the luxurious look and feel their label represents. Not only that, but their ecommerce platform was closing down operations in just four months. 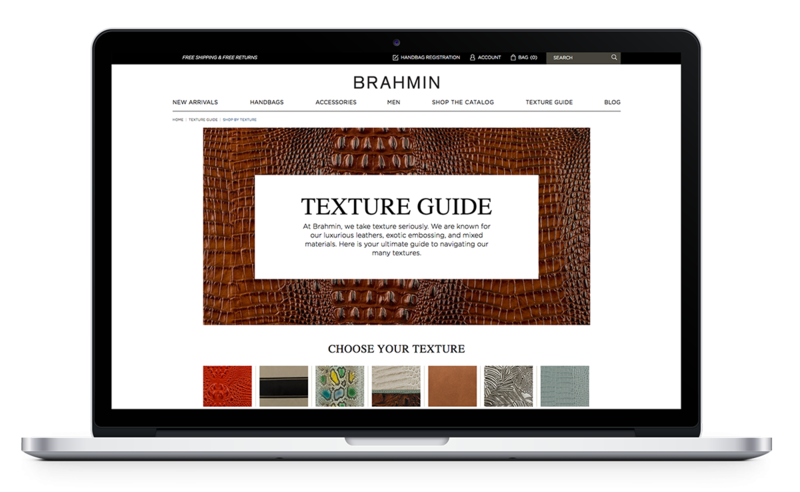 Brahmin came to Corra ready to replatform their site to Demandware, implementing a redesign that would be consistent with their brand. 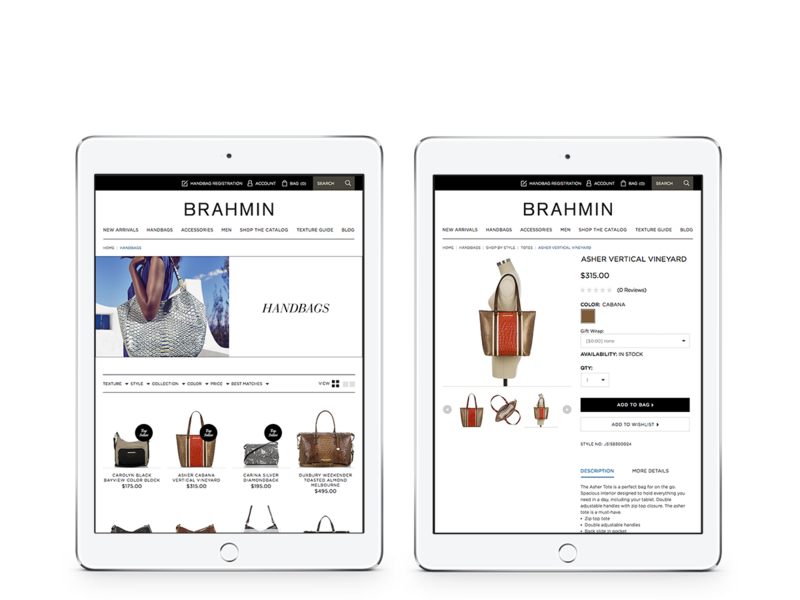 Corra designed and built a fully responsive Demandware site that merges top-notch user experience with Brahmin’s sophisticated branding. The new online store uses Demandware Order Management and features many customizations, including a bold mega menu with a Shop by Texture option, and dynamic product listing pages. Corra also worked alongside Demandware’s team to meet their expectations for the launch, passing an assessment for each phase of the project before moving forward. 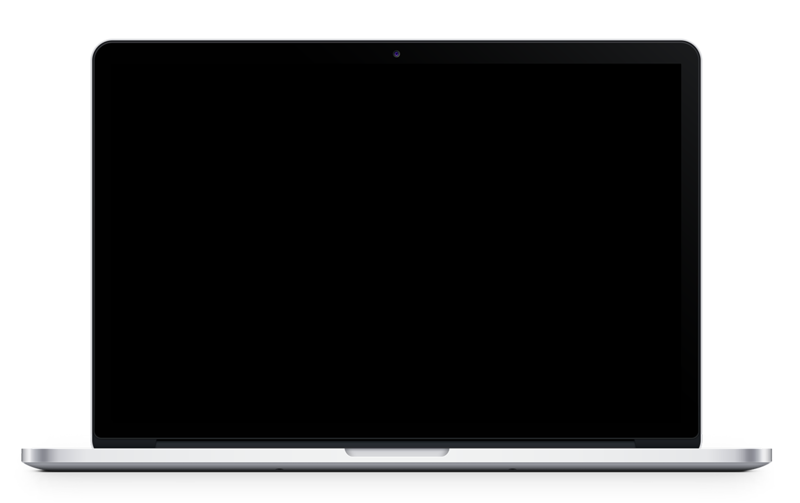 Corra worked tirelessly within the short timeline, delivering the site on time and without any bugs or critical issues.